Welcome back to our weekly Feature Friday series! 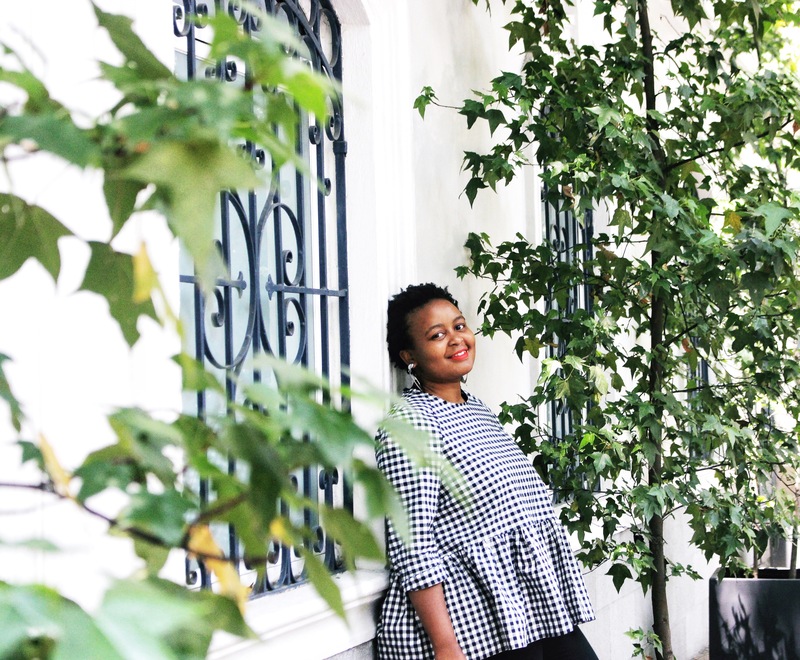 Today, Welile is our guest of honor, and of course she’s sharing some of her travel experiences with us. Through her stories and her pictures, she’s going to take us on a mini trip to Guatemala. Whether you’ve been or not, come read about some of Welile’s highlights, and not so fun times during this adventure! 1. Thank you for being a part of Feature Friday. Can you tell us your name and a little bit about yourself? Hello, My name is Welile, I’m originally from Swaziland and have been living in the States for the last 11 years. About a year ago, I fell in love with the idea of backpacking and haven’t looked back ever since. I feel very blessed to be able to travel for long periods of time while volunteering abroad. One of my favorite thing about backpacking is the food, I’m a huge foodie. I also love meeting people, and exploring. Although I started backpacking last year, I’ve been lucky enough to visit a place that I can call home. So far, South Africa has been my favorite country, all because of Johannesburg. I think Johannesburg is one of the most overlooked or even feared cities amongst other travelers who visit South Africa. To a certain extent, I agree, Johannesburg aka Jozi can get very dangerous. What made me fall in love with it was the people, the food, the hustle and creativity amongst young blacks who came from nothing. 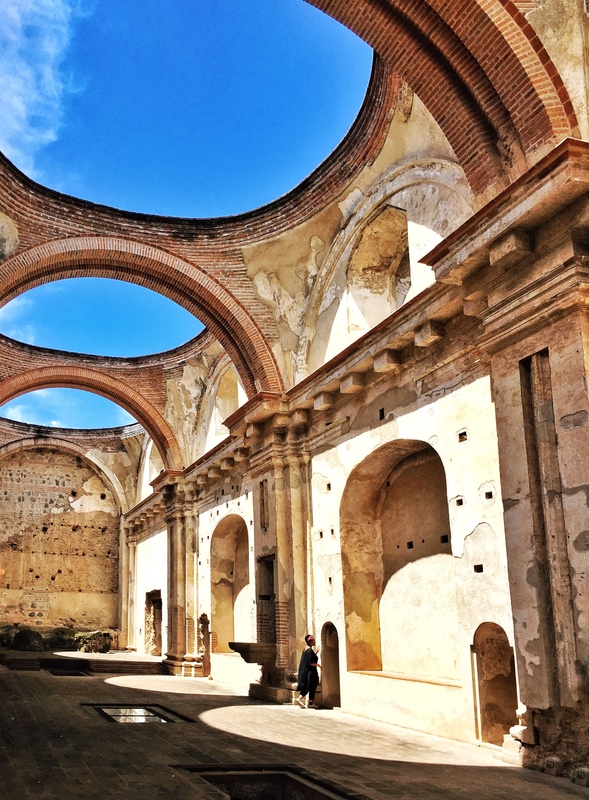 My most recent travel was the beautiful Antigua, Guatemala. I volunteered at a hostel as a bartender with the most amazing co-workers/owners. My Antigua journey only lasted three weeks, despite having no money left. 5. Why did you travel to Antigua? The idea of a trip to Guatemala had been circulating in my head ever since I saw a pic of Lake Atitlan and Antigua. Before I left Los Angeles, my original idea was to spend a month or so in Mexico before moving on to Guatemala, but that plan fell off. I ended up spending a little over two months in Mexico City before deciding to head south to Oaxaca. While in Oaxaca, literally the day before returning to Mexico City, I got an email from a hostel in Antigua for a work exchange. In less than 24 hours, I was on a night bus from Oaxaca to San Cristobal, then a shuttle from San Cristobal to Antigua. Because I had run out of money by the time I got to Antigua, I never got a chance to eat restaurants, instead lots of market/street food. I ended up eating a lot of rice, meat, and salads. In no way is this unique but after a few months of not having Southern food (fried chicken), I tried some in Guatemala, and it was delicious. What makes it even more amazing is the fact that it was street fried chicken. When it comes to transportation, nothing screams Guatemala more than chicken buses and tuk-tuks. Both are very affordable, but Antigua is such a small city that I walked everywhere. The weather was a bit all over the place, hot one day, cold and rainy the next. 10. Where was your favorite place to go in Antigua? My favorite place to go in the city was the local market. I got so used to visiting markets in Mexico City, I had to find one in Antigua as well. The Local market has everything you need from groceries, souvenirs, food and second-hand clothing. I mostly came for the food, because it was the cheapest food I could find in the city. Getting lost my first night in Antigua coming from the bar. I later found out that I kept circling over the same two blocks. I don’t recommend this, lol. Antigua has an after-party most Saturdays which is known as the “pool party” and goes on until the morning. During my last pool party, I drunkenly walked into a cigarette which burned my left eye to a point where I couldn’t see. Instead of going back to the hostel, I stayed and drank more with one eye shut. At some point, I realized I was blind, freaked out and hopped on a taxi back. It took three days for my eye to go back to normal. Lesson learned here, when drunk, stay away from people smoking cigarettes. Besides working and meeting amazing locals and travelers. Seeing an old travel friend who I met and worked with in South Africa was a great reunion and my day trip to Lake Atitlan. For me, the most challenging part of my trip would have to be money. I found Antigua to be expensive compared to other parts of the country or even Mexico. The reason why I mostly ate food from the market or toast/egg. My favorite picture of this entire trip is from the boat ride in Lake Atitlan with a volcano behind me. Every time I look at that picture I’m still in shock that I got a chance to visit one of the best lakes in the world, surrounded by three volcanoes. 16. How does Antigua compare to South Africa? Were your expectations met, or did they differ completely? It’s hard to compare Antigua to any city that I’ve visited or lived. It’s beautiful, unique, and historical. As far as expectations, it blew me away, mainly because of the nightlife and people. In other words, Antigua is LIT, great for parties. 17. If you were to go to Guatemala again, what would you do differently? If I could go back to Guatemala, I would travel the rest of the country, spending more time in Lake Atitlan. I could see myself spending months to a year in this country. 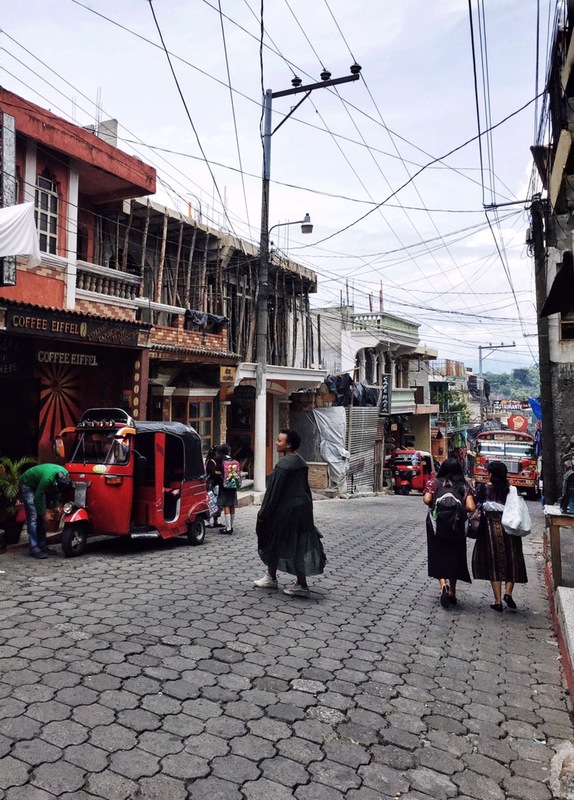 I would try more Guatemalan food, meet more locals, and learn more about the Mayan Culture. 18. If someone else was to go to Antigua, what advice or tips would you give them? My only advice for Antigua would be to spend more than a few days, stay at one of the party hostels, have fun and go to the pool party. At the moment, I’m in Lake Tahoe, trying to save for my next trip. I’m not entirely too sure where I’ll be going. I do however want to visit my family in Swaziland, and traveling the southern part of the continent. My second option is the working holiday visa in either Australia or New Zealand. My next trip won’t be until the first few months of 2018, whichever option I choose, I can’t wait. 20. Anything else you want to share about your trip? The last thing I would like to share for those wanting to visit Antigua is that there isn’t that much culture. If you’d like to see the real Guatemala, I would recommend other cities. Thank you Welile for sharing about your trip to Guatemala! I haven’t been yet, but hopefully I’ll be able to go one day. I can not believe you walked into a cigarette and just kept dancing the night away! I feel like I would have freaked out immediately! I’m so glad to hear everything is back to normal though 🙂 Thank goodness! And you definitely have me wanting to take a trip just to see Lake Atitlan. I had no idea it was surrounded by THREE volcanoes! And your pictures are fabulous as well. 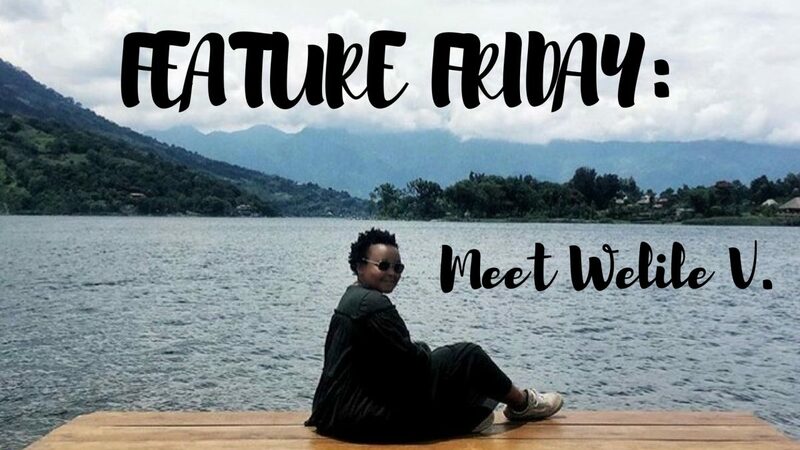 Thank you for sharing them with us, and again, thank you Welile for being a part of Feature Friday! Did you enjoy what you read? Get to know more about Welile! This is so cool that you interviewed another nomad who has been on the road for quite some time! She talks about so many things that really resonates with me – like how she thought she’d be in Mexico for a month or so but then her plans completely changed! That’s the story of my life! I wanna hear more about the chicken buses! What was that experience like? I did take a local bus one time in Cambodia and the locals did carry chickens on the bus… does that count? My reaction was the same as yours when I read about that cigarette in her eye. Like what?! I probably wouldn’t go out for the longest time after time. [I’m also scared of everything 😅🙈]. As for the chicken buses, I have no idea! Maybe stop by her page and ask her? 🤗 But I think your time in Cambodia counts! At least I would count it! Great to know about Wellie and her travels. Love this interview! Wow! Great story. The lake seems like a dream location I would love to visit! I’m right there with you! And it’s surrounded by three volcanoes! How crazy is that?! It sounds like Welile had an amazing adventure! I’d love to talk to her more! Stop by her blog or social media sites! I’m sure she’d love to connect! This is a good interview. Good to know more things about Welile. Hope you enjoyed your trip. OMG! 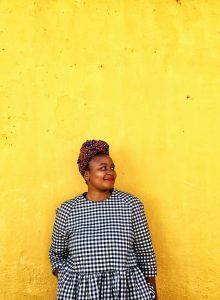 My husband and I want to visit Africa. We want to go for history and religious purposes. We want to go so something good. Welile seem like she had a great time in Antigua. 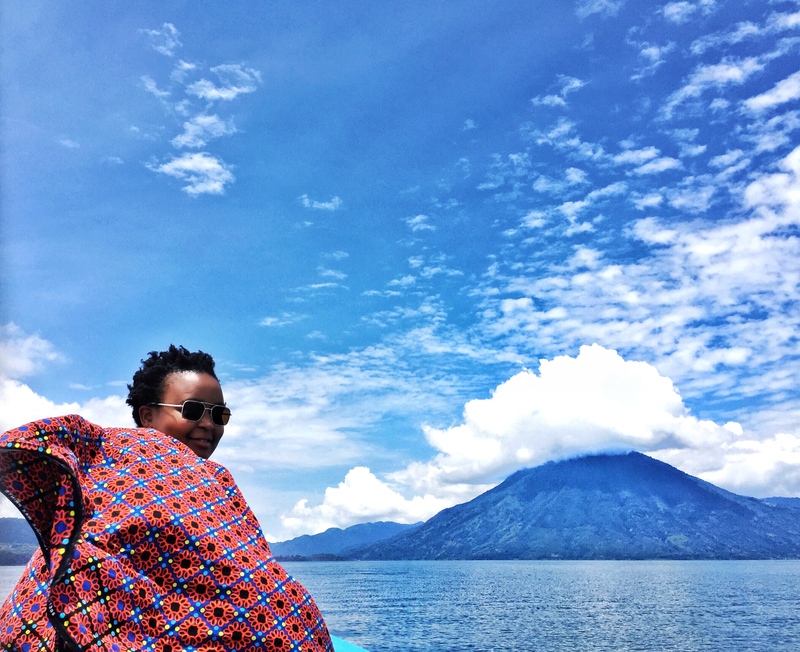 The photo with Welile at Lake Atitlan, Guatemala looks so peaceful and what a beautiful view. LOVE the shot! I hope you guys are able to visit Africa soon! Any country in particular you’re leaning towards? 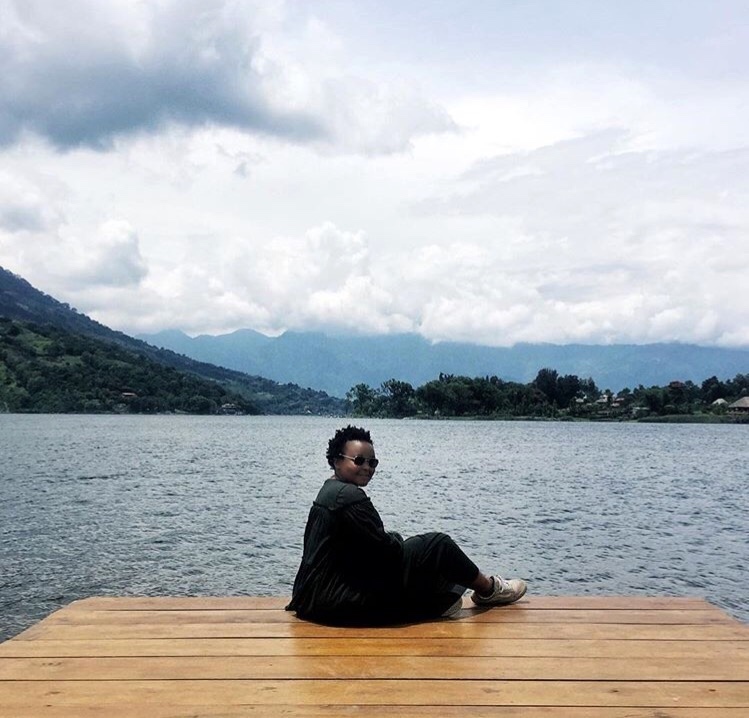 And I also love that picture of Welile at Lake Atitlan! What a gorgeous sounding trip! I would love to see antigua! Thai sounds amazing and the pictures are stunning!!! I admire the just do it mentality when it comes to seeing the world.